It’s been almost 15 years since WordPress emerged as the main player in the world of content management systems, and this CMS now almost has a monopoly position. 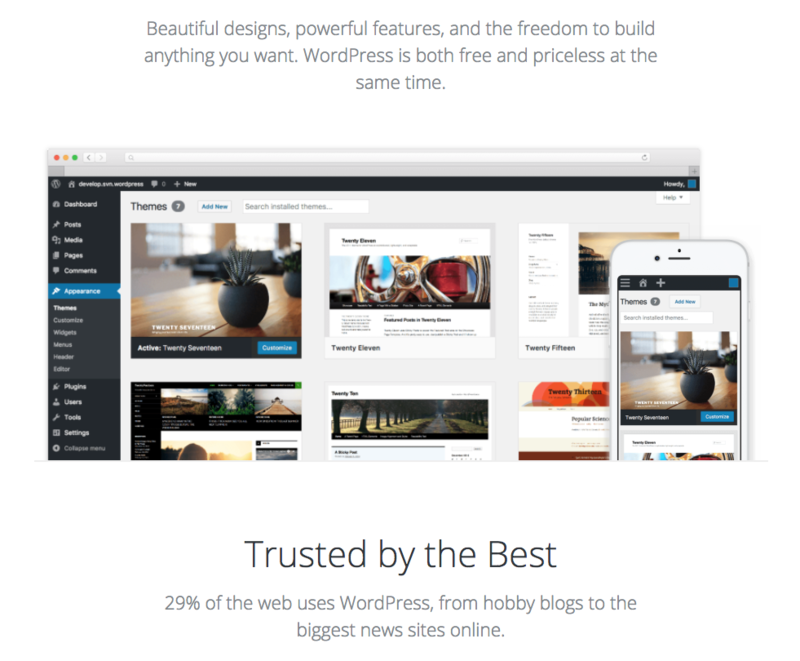 WordPress is the most widely used system worldwide, and not only for bloggers and private users. Larger companies and online shops also use this free content management system. WordPress has a specific advantage in the form of an SEO Plugin from Yoast, which allows users to configure SEO-relevant settings. For example, this plugin allows you to target specific keywords with your content, or to shape the display of your Google snippets in SERPs. The initially uncomplicated and compact CMS has been steadily developing over the years, gaining features, but this means that it has sometimes lost in user-friendliness. Also, on the subject of security, WordPress carries certain risks, especially for users who have no programming skills. The next most widely used content management system Joomla is now 10 years old, and this allows users to maintain the content of a website without any programming knowledge. This is an especially popular system in the US, and in Germany, Joomla was awarded the prize as the best open source CMS for the fourth time in a row in 2017. Like WordPress and TYPO3, Joomla is based on the programming language PHP, which visually transforms the contents of a MySQL database. The installation of Joomla works on almost every web hoster and takes just 30 seconds. For developers, it is possible to program a large number of individual extensions for the system. The CMS can be enhanced by almost any desired function. For the creation and formatting of content, Joomla offers an editor-supported input field for texts not offered by other CMSs. This appears simple at first glance, but it can lead to difficulties with more complex formatting. Joomla is as intuitive as WordPress to use, and the system is easy to understand even for beginners. However, this open source system, somewhat similar to WordPress, has security vulnerabilities, as it is only available with some extensions. In general, Joomla is a structured CMS that is easy to understand for users and thus suitable for implementing almost all web projects. 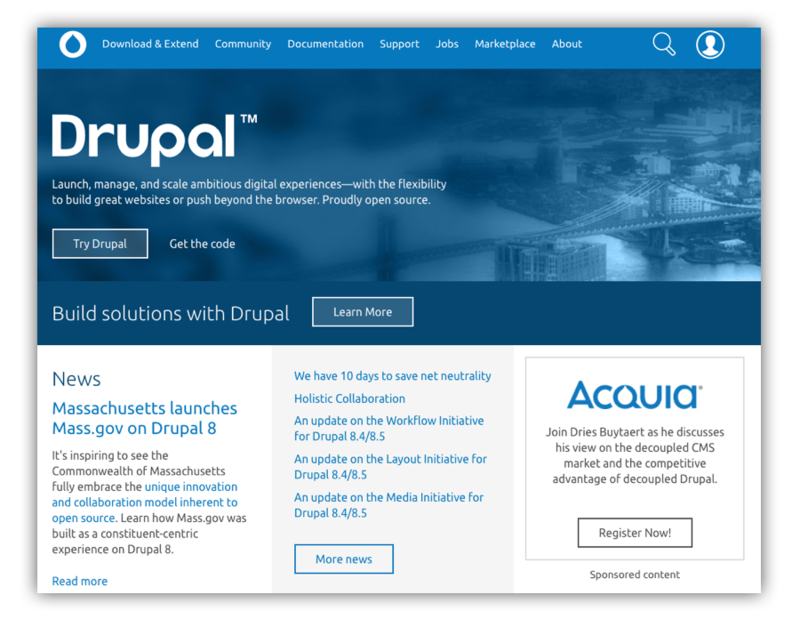 Drupal was once thought of as a social platform for sharing information, but it has now evolved to become one of the most widely used open source content management systems. In addition to its basic functions, Drupal focuses on the development of social publishing and community portals so that members can create their own content and interact with other participants. The modular structure of the CMS allows the implementation of individual and complex page structures. At the same time, the system, which at first is rather sparse, can be customized by means of various add-on extensions. In general, however, Drupal is more suitable for experienced web developers, as the desired configuration, unlike WordPress, has to be constructed. This CMS is therefore more suitable for the implementation of sophisticated web projects. TYPO3 is another one of the most important CMSs in Germany for companies with more than six million downloads. The CMS is now available in more than 50 languages and has over 5000 extensions. The large community of users actively participate in the further development of the system. Even in the basic installation, the powerful CMS includes many functions such as multidomain support as well as extensive rights management for several administrators and users. However, in order to implement more complex page structures with multilingual content, the extensive editorial system requires specialized knowledge. Overall, TYPO3 is a very complex CMS and is usually capable of more than what users require the users. Compared to other systems, it takes a long time to get used to TYPO3, and it takes more effort to administer. If you are looking for a powerful, expandable CMS that is also relatively cheap, you should be satisfied with Craft. Craft is based on PHP and needs an SQL database like WordPress. The CMS is not the creator’s first product – its predecessor, ExpressionEngine, had been quite successful. You can test the CMS online to convince yourself of the clear structure and the responsive possibilities. The strong developer activities are a big advantage, because new updates are released almost weekly to further improve Craft. In addition, the community around the CMS continues to grow, so that now numerous tutorials, templates and plugins can be found on the straightupcraft page. Unlike some other CMSs, Craft needs the appropriate knowledge of HTML and CSS to design the front end. 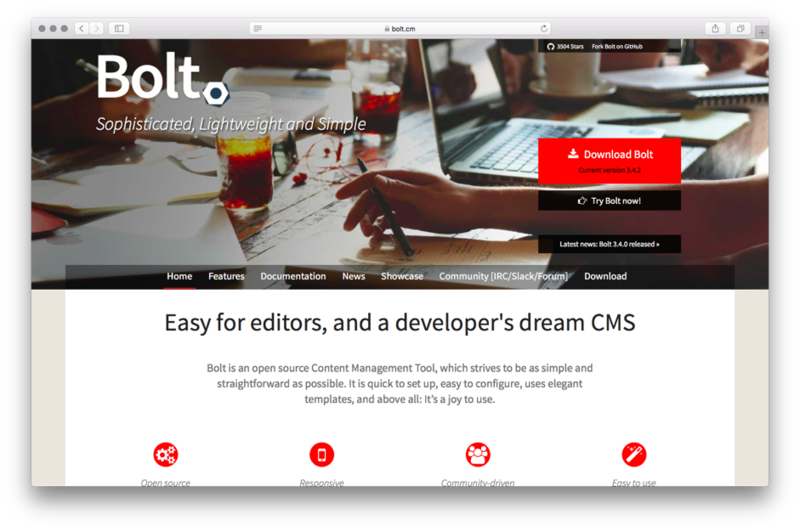 The makers of Bolt call their CMS easy for editors and a dream CMS for developers. Is this true? In any case, Bolt is a well thought out and well-developed content management system. It’s a bit like WordPress. As an open source system, Bolt can be used free of charge, and due to the very detailed system documentation, it’s quite easy to work with. Bolt has an extensive set of features, and a number of people can have access – it is therefore not just for blogs, but can be used for larger websites and by professional business users. Fork has been around for many years, but still appears modern due to its continuous development. The CMS comes with a very user-friendly interface and has a lot of interesting themes and features for SEO experts in particular. Fork can be installed via the Composer or the conventional way and can also be tested in advance. For people from the marketing sector, the extension Multivariate Testings will be interesting, as this makes it easy to carry out AB tests. A further advantage of Fork are the templates availble. 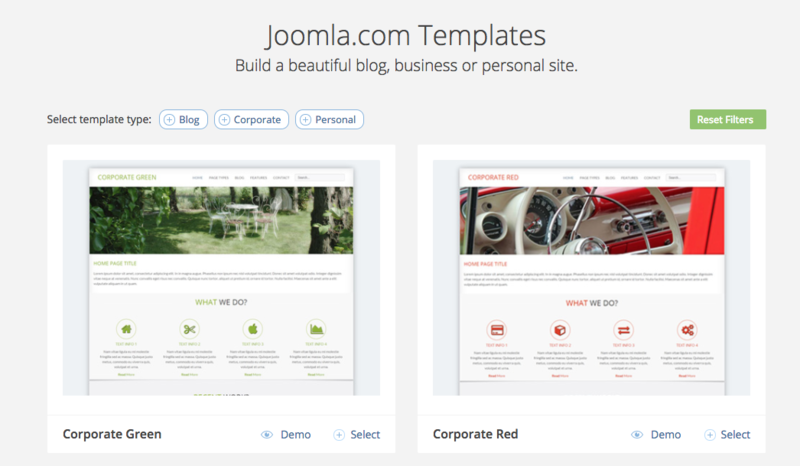 Content blocks can be easily positioned in the backend by drag & drop. The system can be tested here. As an alternative to the conventional CMS, which work with connected databases, there are the so-called flat-file systems. These store the contents of the website as simple files, so they don’t need their own database on the server. Therefore, backups, and publishing or transferring content can be carried out quickly. 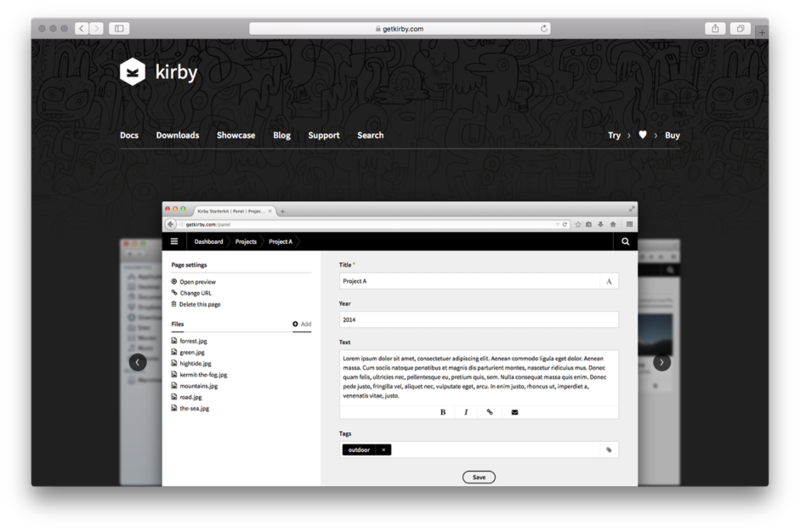 Kirby was launched by the German web developer Bastian Allgeier from Mannheim and continues to evolve into a popular alternative among the CMS which do not require a database. The system doesn’t have an administrator back-end – instead, it has the so-called Kirby Panel, with which the pages, posts, templates, etc. are managed. Kirby comes with an FTP client (or Dropbox) and a text editor. Therefore, the entire page structure can be managed by inserting, for example, subfolders in the content folder with the names of the corresponding pages. The individual pages are written in text files in Markdown; the page layout can be modified with the template engine. Kirby is not free, but easily affordable. The creator of the system Pico, Gilbert Pellegrom, calls it “stupidly simple”. Pico is only suitable for developers. It works in a similar way to Kirby. It is PHP-based, works with the usual text editor, and the content has to be written in Markdown. The main difference is that Pico is an open source system, and is therefore completely free. However, it does not offer as many features, and the community is still fairly new. 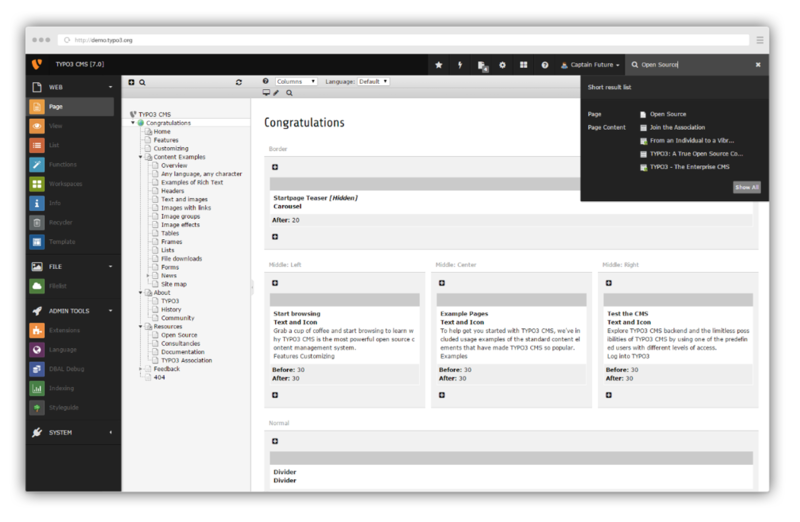 Grav is another content management system based on PHP and is extremely lightweight. Grav also runs without a database on the web server. The system has been praised many times and is often compared to Kirby. 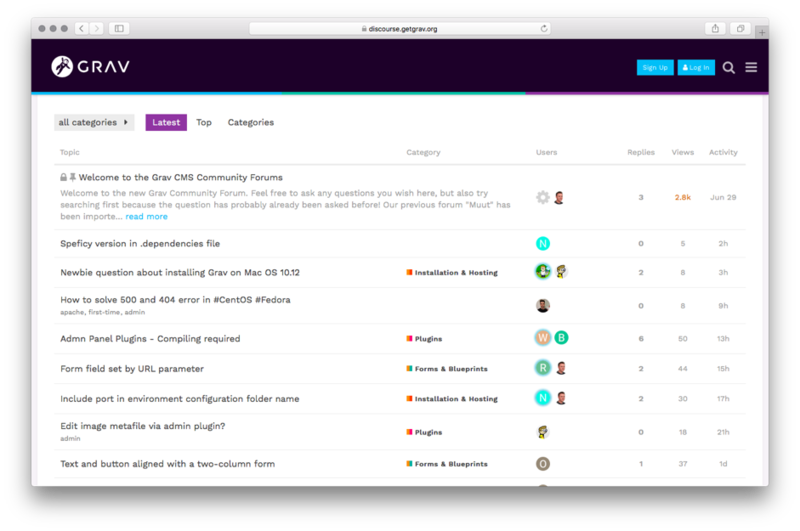 Unlike Kirby, but similar to Pico, Grav is an open source CMS and therefore free. The installation requirements are low, so a cheap web hosting package is sufficient. 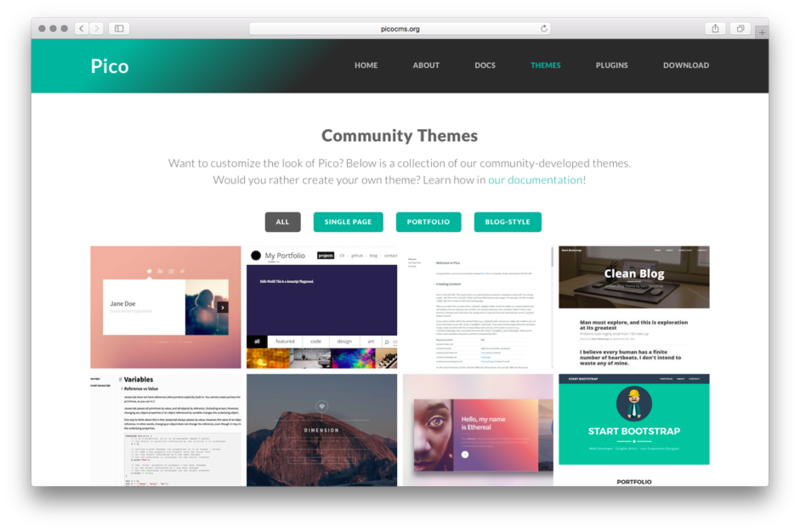 The big advantage over Pico is its strong community growth, through which themes and plugins can easily be obtained. A disadvantage, however, are external dependencies such as the template engine Twig or the Symfony framework. In addition to content management systems with or without a database, there are also more and more static website generators on the market. These are not filled with content like traditional CMS. Each time a change is made, the system creates static HTML files and regenerates the page, so the pages are static and have a high performance. Such systems are essentially more for professional, particularly technology-savvy users, but the operation is always easier with additional services and administrator interfaces. Static website generators are especially useful for pages that do not need to be updated frequently and that have very few or only one editor involved. 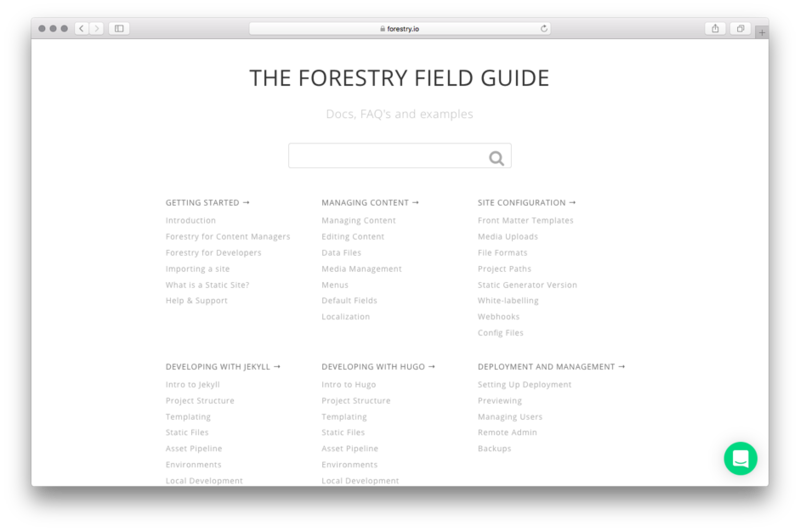 While most generators are operated from the command line, Forestry.io offers a nicely designed web interface. Forestry.io is not a true CMS, but rather a web service where users can log in and then edit their site. Forestry then generates the new static page and can optionally distribute it via FTP, GitHub Pages or S3. For personal use, Forestry is free, and the price increases as the number of users increase. Lektor is an independent website generator such as Jekyll or Hugo. However, Lektor offers a decisive advantage: In addition to the usual command line interface, the tool offers a graphical admin interface, so you hardly notice a difference with a conventional Content Management System. Another advantage of Lektor is the good documentation, which makes working with the tool much easier. 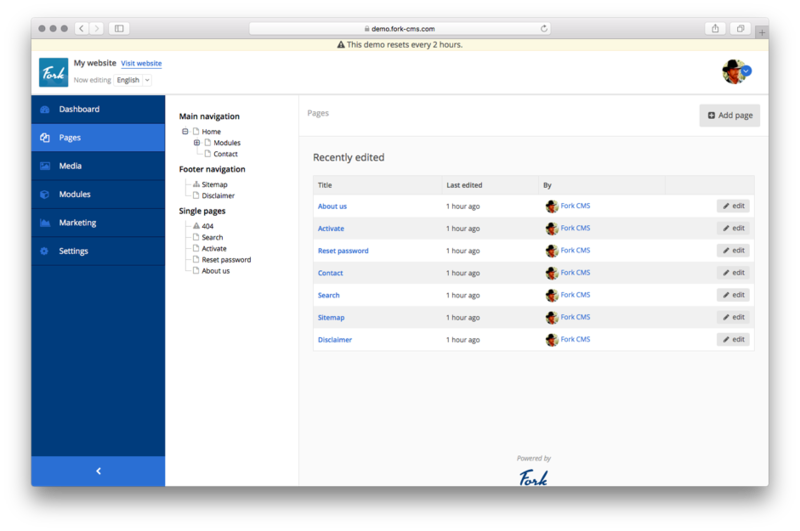 DatoCMS is cloud-based and also has a graphic interface for static website generators. In addition to the usual generators Jekyll and Hugo, you can also choose among four others: Metalsmith, Middleman, Gatsby or Hexo. 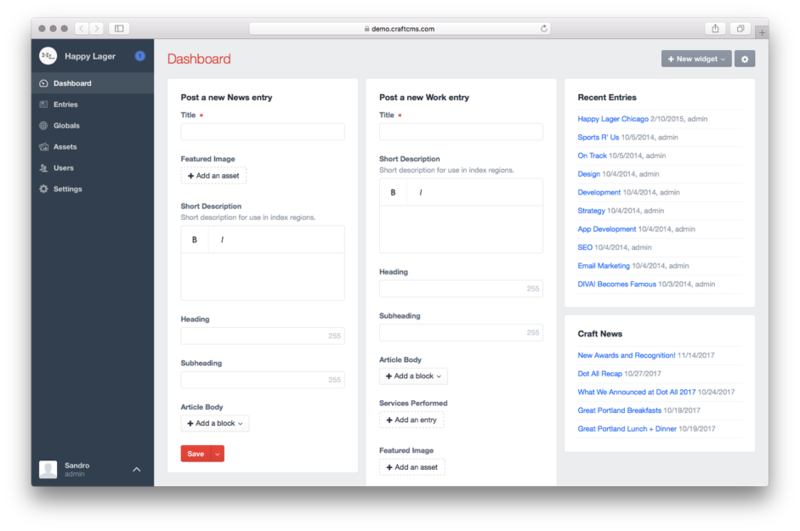 Like Forestry, DatoCMS is basically a SaaS or CMS service. Specifically, this means that the content cannot be hosted on its own, but resides on a DatoCMS server. Simple FTP uploads are not possible with DatoCMS. The website is deployed via Github, Bitbucket or Gitlab. In general, this works well, but for beginners, DatoCMS could be a bit too complex. What’s the Best CMS System? This isn’t a straight-forward answer. Content management systems such as WordPress, Joomla, TYPO 3, but also Craft, Bolt and Fork makes sense in many cases. 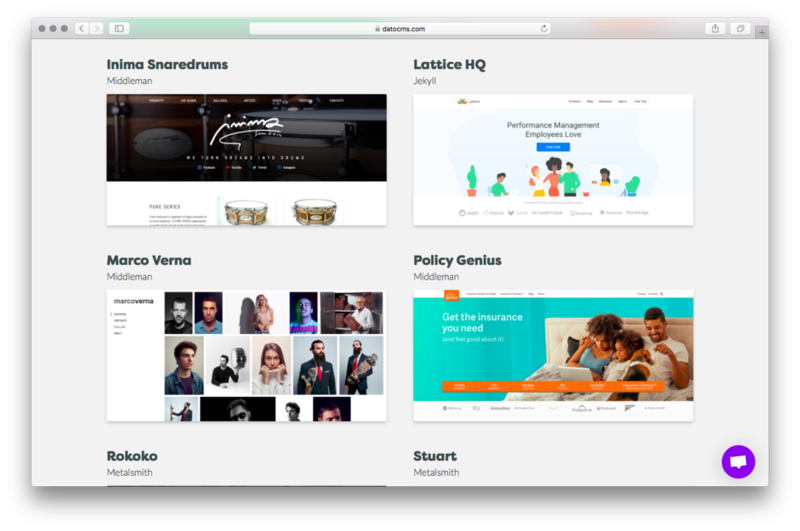 Of course, it’s also convenient to use predefined user roles that are common with most CMS, the simple plug-in enhancements such as for search engine optimization, or WYSIWYG editors. For CMS with this feature, a certain amount of effort is necessary for sustainable and secure use. And not every website actually needs a comprehensive, dynamic CMS inclusive database. 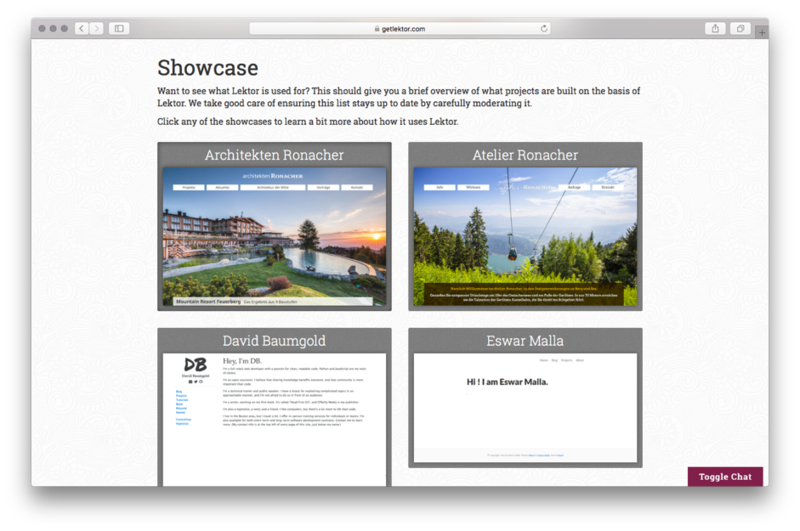 Therefore, it’s worth taking a look at website generators in addition to the Flate-File CMS light versions. These are a particularly ideal alternative for smaller websites, as long as the content does not change constantly. There are many advantages over dynamic web pages based on a conventional CMS. Static HTML pages load faster, and many potential security vulnerabilities that exist with Joomla, WordPress and Co., don’t exist. One reason against website generators is that they require at least a basic knowledge of web development, and the workflow is usually more complicated than with a CMS like WordPress. In addition, static sites do not offer interactive user functions, such as user logins, forms, or discussion forums. Whichever system is best for you depends on your own requirements for the website. Published on 01/22/2018 by Kristina Schreiner.